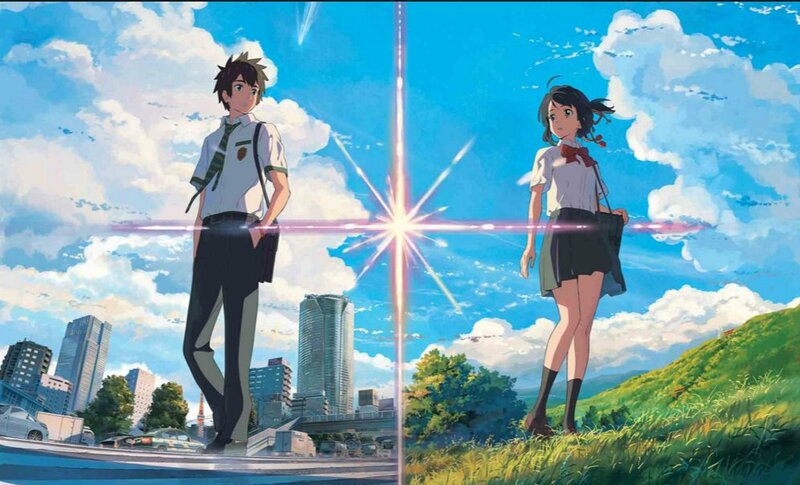 BEVERLY HILLS — “Your Name” (Kimi no Na wa), a hit animated movie from Japan, is now playing at Laemmle’s Music Hall, 9036 Wilshire Blvd. in Beverly Hills. Friday, Saturday and Sunday are sold out. Remaining showtimes: Monday, Dec. 5, through Wednesday, Dec. 7, at 12, 2:30, 5 and 10 p.m.; Thursday, Dec. 8, at 12, 2:30 and 5 p.m.
From director Makoto Shinkai, the innovative mind behind “Voices of a Distant Star” and “5 Centimeters Per Second,” comes a beautiful masterpiece about time, the thread of fate, and the hearts of two young souls. The day the stars fell, two lives changed forever. High-schoolers Mitsuha (voiced by Mone Kamishiraishi) and Taki (Ryunosuke Kamiki) are complete strangers living separate lives. But one night, they suddenly switch places. Mitsuha wakes up in Taki’s body, and he in hers. This bizarre occurrence continues to happen randomly, and the two must adjust their lives around each other. Yet, somehow, it works. They build a connection and communicate by leaving notes, messages, and more importantly, an imprint. When a dazzling comet lights up the night’s sky, something shifts, and they seek each other out wanting something more — a chance to finally meet. But try as they might, something more daunting than distance prevents them. Is the string of fate between Mitsuha and Taki strong enough to bring them together, or will forces outside their control leave them forever separated?